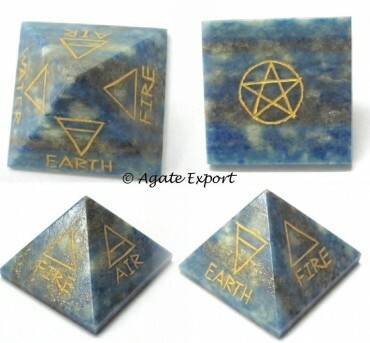 Lapis lazuli helps in coordinating mind and heart. It works on physical as well as spiritual level. It alleviates pain, purifies blood and activates third eye chakra. Agate Export brings you Lapis pyramid with 5 elements engraved and gold-painted on its all 5 sides.